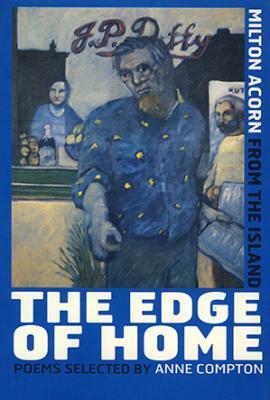 As both People?s Poet and Governor General?s Award winner, Milton Acorn was the only Islander to achieve significant national recognition for poetry and prevails as the very symbol of poetic expression on PEI. ?Now when I read Milton Acorn?s poems and come across lines like ?I?ve tasted my blood too much / to love what I was born to? or his marvellous jeu d?esprit, ?The Natural History of Elephants? . . . they take on deeper meanings for me, for I know they?re intrinsically his, as much as the gravelly rasp, the cheeks? expressive gouges and the cauldrons of love he has for fellow beings stubbornly battling for freedom and dignity against those who would keep those from them.? Irving Layton, ?Reminiscence by Irving Layton? ?Acorn is an affirmative voice, a gentleness masked in ferocity, the best of our traditional wisdom expressed in forceful up-to-date diction.? Fred Cogswell, ?Three Arc-Light Groups?